We have reviewed, rated and compared Amana air conditioners so you can buy with confidence. These AC’s are not for suitable for everyone so check to see if they fit your needs! Whether the cold winter winds are still blowing, or it is the middle of summer, a reliable and cost-effective air conditioner can make all the difference between making your home cozy, or cold. Considering the level of inflation and subsequently, that of demand, this is the perfect time to buy an air conditioner as HVAC units’ prices are at an all-time low. One of the lesser known names in the HVAC market is Amana, featuring an average 17.7 SEER, the second best average in the market after Lennox. Amana air conditioners have many other brag-worthy features besides their SEER; including, good customer service and warranty periods. The reason for Amana’s low popularity is its high installation costs and the fact that the units are extremely heavy on the pocket when it comes to repair and maintenance, as generic parts aren’t compatible with Amana air conditioners. Here, we’re going to weigh the different features Amana’s AC systems offer, and whether they are the best fit for you or not. Amana’s air conditioners may be heavy on the wallet, when taking into account the initial purchase and installation cost, but they more than makeup for it in the long run with their high efficiency. Customers have often reported their customer service representatives to be extremely helpful and professional Many customers also report having to only pay for freight charges and labor when getting a replacement. Unfortunately, Amana’s AC units’ compressors are known to malfunction, primarily because there is no protective grill around it. You will have to point that out to your installer and make sure they cater to it, when installing your unit. Amana’s units are best suited for people who live in hotter climates because of their high SEER, but that is not to say that people who live in colder climates won’t benefit from these air conditioners. The fact that they can act as makeshift heaters, with an equally high EER is what makes Amana ACs extremely versatile and suitable for all regions. Amana is well known for its relatively lower unit purchase costs, but at the same time, it is notorious for its high installation costs. Getting an average air conditioning unit installed will cost you roughly $2,000-$2,500, while Amana’s AC units add a whopping $2,900-$4,000 to the total, just for installation! When compared to competitors, it is steeper than most, and perhaps the main reason why Amana isn’t as big a name. However, once people get the unit installed, they are mostly pleased with the investment. Amana’s elite unit, the AVXC20 has a 24.5 SEER, again second to only one AC – the Lennox XC25, but Amana’s AVXC20 is lower in price and thus, a more attractive buy. The lowest SEER among Amana’s air conditioners is 14, found in the Amana ANX13 and ASX13. This is higher than what most brands offer, resulting in a higher average. Amana claims that the high cost of its units is mostly due to the high-quality build and extended warranties, which is true in most cases. The only major complaint people have regarding Amana’s units is regarding the durability and life of its compressors. Below is a table comparing Amana’s air conditioners’ purchase, installation, and average running costs for a 2.5-ton AC. *Prices are estimates for the following: 2.5-ton condenser, 1300-1400 cfm air handler plus a programmable thermostat. Thanks to the powder finish on Amana AC units’ chassis, they have robust and durable bodies that can last longer than that of their competitors. However, the lack of insulation and protective grills around the compressor mean that the air conditioner produces a loud hum and is prone to damage and build-up from debris and dust. This results in breakdowns and is the prime reason for most complaints. That said, Amana’s customer service is extremely reliable, and they are well reputed for readily fixing customers’ problems. As mentioned above, despite the well-built chassis, the compressor remains exposed to external elements. Quality HVAC contractors can identify this flaw and immediately take steps to cover the compressor with some sort of protective sheet; at least enough to stop debris, insects, or small animals from entering. 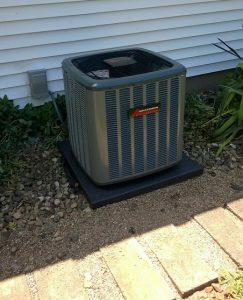 People who hired expert HVAC contractors to install their Amana AC unit have had no complaints regarding their unit, and have spent more than 15 years without being forced to spend a lot of money on it again. To have your Amana air conditioner installed by an experienced HVAC contractor, visit modernize.com now. The site lists contractors according to the customer’s level of trust and satisfaction, and their geographical presence. Modernize.com also verifies each HVAC contractor before listing them so you don’t have to worry about whether they are reputable and trustworthy, or not. Each customer leaves detailed feedback about their experience with the relevant contractor, which is visible to all, so that you, and others, can decide whether to hire the contractor or not. We recommend Modernize and make it easier for you. Answer the questions below to get started today! The way Amana air conditioners are named is notoriously complex, and each one signifies something different. Here, we will explain what each model’s name represents. X stands for the unit type, i.e., a condenser. Z indicates a heat pump. The figure at the end signifies the unit’s SEER or EER rating. The AVXC20 is the most efficient air conditioner that Amana has to offer, but its installation is quite expensive, while the ANX13 is the lowest SEER AC that is offered, and is much easier on the wallet. Customers who have purchased Amana AVXC20 are pleased with the product’s cooling and durability, in the case that it has been installed correctly. All the models are moderate in terms of quietness, but they more than makeup for their high cost and noise level when they run for longer periods of time. All the models are Energy Star rated, meaning they are all recommended by the government, when it comes down to the unit’s functional efficiency. The following is a table explaining each model in detail. Some regions experience intense summers, especially when landlocked. The climate may tend towards extreme dryness or humidity, both of which can become exhausting during the summer heat. The best way to combat this is by installing central air conditioning. Amana’s central air conditioners can cool your whole house down at a relatively low running cost. But for those of you who aren’t willing to spend thousands of dollars on central air conditioning systems, Amana has other options as well. If you wish to cool only one room, whether it is a dining hall, kitchen, or simply your bedroom, Amana’s window-mounted air conditioner is a good alternative that comes at a relatively lower cost. The air conditioner boasts 6,000 BTUs to ensure quick cooling. All you have to do is fit the unit in a window and plug it in any power outlet available, as it only requires a 115-volt outlet. The unit costs only $197 (new), giving you a good, cost-effective solution for your room. If your cooling needs are much more diverse than simply cooling one room, you should consider buying Amana’s portable air conditioner. The air conditioner has a trolley-design so that you can easily roll the unit to wherever you want. With a cooling power of 7,000 BTUs it is perfect for rooms, with a size of up to 250 sq. feet. The unit costs roughly $300 and is, therefore, a good solution if you are strapped for cash. Amana AC excels at being energy efficient, be it the top tier unit or the model in the lowest tier. The only competitor that can boast beating its high SEER is Lennox, and that too by a small margin. Furthermore, Amana has several units above SEER 16, making them all eligible for a tax rebate of up to $300. SEER or the Seasonal Energy Efficiency Ratio is a measure of an HVAC unit’s efficiency level, i.e., the measure of BTUs consumed against Watts per hour. The S in SEER signifies that the measure is seasonal. If you take into account the consumption of energy during winters as well, it becomes the Energy Efficiency Ratio, or simply EER. Amana’s AVXC20 is a 15.44 EER, while that of Amana ANX13 is 11.76. The higher the SEER or EER of a unit, the more efficient it is. As mentioned above, one of the most common complaints regarding Amana Air Conditioners is that of the compressor’s malfunctioning, due to debris. Amana AC units have two different types of compressors; single-stage and two-stage. Amana Air Conditioners’ single stage compressors run fast or not at all; thus cooling the room very quickly. However, the constant high speed means more energy is consumed when the unit is running. The same is true for when the compressor turns back on again, as more energy is used up in order to break the stationary compressor’s inertia when it starts back up. The more premium Amana AC units have a two-stage or variable speed compressors to allow minute adjustments in the speed during the compressor’s function. The adjustments are made according to the temperature of your room or house; slowing down as the temperature falls. This saves up on energy costs and makes the unit more efficient. Since the fan never turns off, there is no need for the energy spike to break the compressor’s inertia. Some customers, however, complain that the variable speed compressors are too slow to cool the house compared to its competitors, but some experts counter that argument with the statement that their unit might be too small for their room size. Air conditioners usually feature condenser fans relative to their compressor types. Amana air conditioners have not been subjected to any complaints regarding the condenser fan, except after having been in use for a good 10 to 12 years. The fan is easily replaceable under warranty at that point. If, however, the fan breaks down after the warranty expires, it is replaceable at a price of $200, excluding shipping. Amana air conditioners have the capability of working as heaters during the winter season because of their compressor’s ability to apply negative pressure on the refrigerant gas as well. When negative pressure is applied on the Freon gas and it traverses throughout the unit’s coil, it actively heats the air that passes through it, turning the unit into a heater. Amana air conditioners are somewhat left behind when it comes to the noise it makes during its operation. This is because the chassis of Amana’s AC units aren’t as insulated as its competitors’ are, with rubber and thermosetting plastics. Amana’s quietest unit is the Amana ASXC16, at 59 decibels during normal operation and as low as 42 decibels under optimum conditions. This is high, compared to other units in the same range – something that many customers take into account when looking for a central air conditioner. Amana AC units have some of the best warranties in the HVAC market. However, that is not to say that there aren’t better warranties in the market. Amana offers its customers a lifetime warranty on compressors, which is by far the greatest selling point for the manufacturer, and 10 years for its parts. This gives Amana the ability to compete with other major HVAC manufacturers, such as Goodman, Lennox, Trane, and others who also offer lifetime warranties on compressors. However, the only point where Amana falls short is the warranty of its parts, with its 10 years against others who offer lifetime warranties. While Amana’s customer support is extremely helpful and finds a solution for problems quickly, the warranty doesn’t include labor, like that of many other HVAC manufacturers. This means you’re going to have to dish out cash for labor if your AC needs a replacement or repair. To hire trustworthy and cost-effective help with your new, or old air conditioning unit, look for a contractor at modernize.com. Air conditioners with 16 SEER or above are eligible for hefty tax rebates upon purchase. This is thanks to the legislation signed in 2018, regarding all high-efficiency HVAC equipment to receive a tax rebate of 10% of the cost, including installation up to a maximum of $300. Amana’s AVXC20, ASXC18, AXSC16, and AXS16 are all above 16 SEER, and are therefore eligible for the said tax rebate, giving users some relief against Amana’s high prices. Top models contain features such as remote controllability Top models contain no features such as WiFi. Top models contain more features such as WiFi, Alexa, etc. Top models contain more features such as WiFi, Nexia, etc. Top models contain more technological features such as AccuComfort, Acculink, etc. Only occasional complaints Customers often complain about poor service Customers often complain about Lennox repairs. Generic parts don’t work. Costs more in some remote areas but customers are happy with repair work. Generic parts usually work, offering more versatility to users and better customer support. Overall good reviews with complaints only for the installation process and high prices. Complaints are mostly themed about maintenance cost. Lennox users sometimes have complaints about repair work, but only when the unit breaks down, which is not that often. Trane users have very less complains but sometimes complain about the high maintenance and repair cost. Users are usually dissatisfied with American Standard air conditioners due to poor durability and frequent breakdowns. Despite Amana’s high prices and customer complaints online, there are customers who tend towards these units because of a number of favorable reasons. Owned by Whirlpool Corporation, Amana follows a business model much similar to Goodman, especially in terms of model numbers, distribution, and several other factors. However, where Goodman focuses on lower initial costs, Amana’s main focus is high efficiency and lower running costs. Following are some of the reasons for and against buying Amana air conditioners. Amana is a good choice for people who aren’t against spending too much money at once. However, the investment is worth it if the unit is installed properly. Amana’s air conditioners more than makeup for their high price with their high SEER, especially with models in its top tier unit, such as the Amana AVXC20 which has a 24.5 SEER. However, while the unit is relatively quiet, it is certainly not enough to compete against the higher-end units offered by other HVAC manufacturers. Amana offers great customer support and longer warranty periods for its customers, however, it lacks in its installation procedures, compressor durability and, agreeably, its price range. In order to avoid the problems faced by other users, you need a good installer to handle your new, expensive unit. Experienced contractors can help you extend your unit’s life by shielding your compressor properly, and making sure the installation is undertaken correctly. 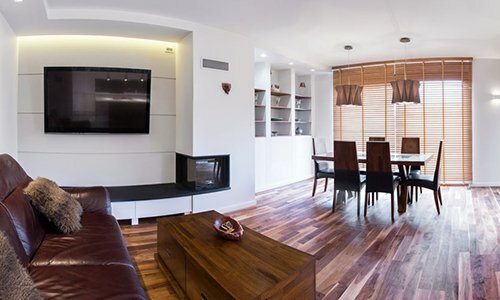 To find such expert installers, you should visit Modernize by using the form below. Not only are the listed contractors reliable and experienced, but they are also cost-effective so that you have no complaints when installing or upgrading to your new Amana air conditioner.